The young in Indonesia are finding a voice. The Indonesian Solidarity Party (PSI), formed to win over a generation of millennial voters, is a response to what is seen as an oligarchy – political parties led by “old” people, particularly figures related to the New Order regime of the Suharto era. PSI’s simple belief is that the 58% of Indonesian voters categorised as “young” need to be recognised and given space to express political views. Starting in November 2014 with 23,000 members, the party has flourished to claim approximately 400,000. But PSI is still a long way from becoming a political force. If the party wants to pass the 4% parliamentary threshold of votes required to be selected in the House Representatives (more than 7 million votes nationally), the first challenge is to gain trust. The second is to prove PSI can attract attention and break exisiting voting habits. The party has used social media to campaign and promote its platform, which it calls its “DNA”. PSI has garnered plenty of online attention, and now has more than 1.7 million followers on Facebook, 68,000 followers on Twitter, and 46,000 on Instagram. Some of their top figures can be categorised as social media influencers or Twitter celebrities. Research by the Institute for Transformation Studies, Jakarta, into social media followers of political parties ranks PSI in third place, after the main opposition party, the Great Indonesia Movement Party (Gerindra), and the ruling party, Indonesian Democratic Party of Struggle (PDIP). There are two elements to the PSI’s DNA platform: “virtue” and “diversity”. Virtue means opposition to corruption, while diversity signals a fight against intolerance. “The party puts forward issues of human rights, in which no one should be discriminated as a citizen,” Raja said. To implement its DNA, the party is backing the Corruption Eradication Commission (KPK), a body that was attacked after exposing a bribery case involving politicians from opposition parties. PSI has also condemned discrimination towards the minorities. Despite the claim of anti-corruption, PSI appointed Sunny Tanuwidjaja, a former special staffer for Jakarta Governor Basuki “Ahok” Tjahaja Purnama, as a supervisor-board member. Sunny was summoned by KPK over an alleged bribery case centering on the deliberation of two bylaws on reclamation. The party is close to President Joko (Jokowi) Widodo, who is seen as an “ideological father”, perhaps too close for some who privately complain the PSI is part of Jokowi’s strategy to win young voters. PSI has already encountered serious obstacles. When some members in Depok, West Java, declared support for a plan by the local administration to establish an anti-LGBT force, PSI was called out as intolerant. The party apologised and promised to better communicate with its members. PSI also got into strife over the Indonesia Communist Party (PKI) and support of the slogan, “Smash the PKI”. The phrase was later used by religious vigilante groups to legitimate attacks on survivors of the 1965 crackdown who have suffered five decades’ of anti-communist stigma. Raja admits that PSI is still determining how to communicate its DNA platform to the public. Sometimes, it needs to choose between acting as a human rights supporter and playing it “safe”. The party’s success in social media – an undoubted strength – also looms as a potential weakness. Burhanuddin Muhtadi, Executive Director of pollster Indonesia Political Indicator, worries a singular focus on social media could undermine the party’s strategy to gain support. 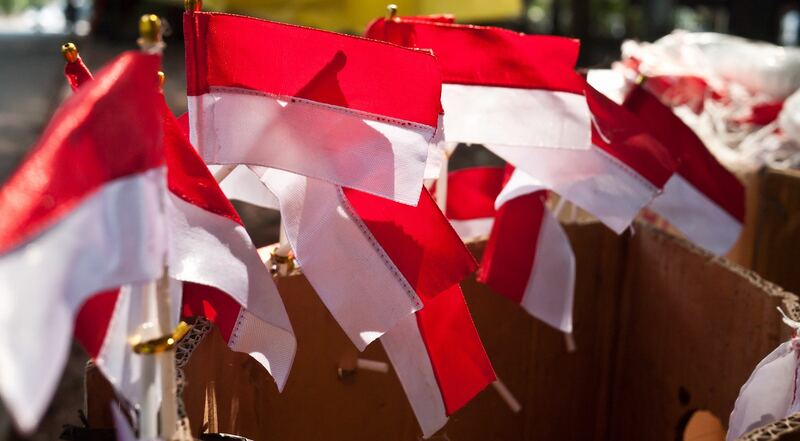 Only about 10% of Indonesian voters are presently aware of PSI, according to a recent survey. If they are close to conservative, they will vote PKS (Prosperous Justice Party). But if they have a secular background, they will vote for a particular party. I suspect the respondents still think that the old party is more experienced. They’re already proven by winning the election. But some of the relatively younger parties have not shown that they can succeed in winning majority support. I think today’s ideology is more eclectic, and combines what benefits the people. We will focus on anti-corruption and anti-intolerance, that’s all.